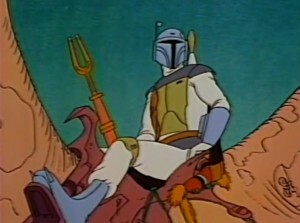 Being a fan of Star Wars, I have occasionally come across various postings or writings on the Internet (and elsewhere) where people have been very into Boba Fett, in fact, there’s even a Boba Fett Fan Club! 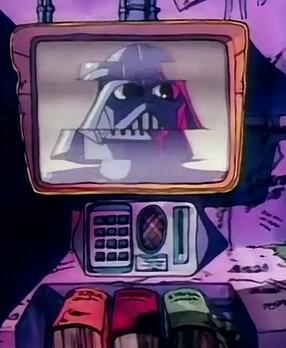 However, it was baffling to me why people would be so fascinated by a character who, as I had recalled from “The Empire Strikes Back”, was the bounty hunter who found the Millenium Falcon and brings Han Solo to Jabba the Hutt and, in “Return of the Jedi”, was on the party barge in the desert, falling into the Sarlacc Pit. I didn’t think Boba Fett was anything special. Sure, he lucked out with his thinking in figuring out where the Millenium Falcon was, but he was merely a creative bounty hunter who got the job done (then died by his jetpack faltering and him falling into the Sarlacc Pit). So, to solve this question, I compiled all of the appearances of Boba Fett in either television and movies in order to better understand Boba Fett. 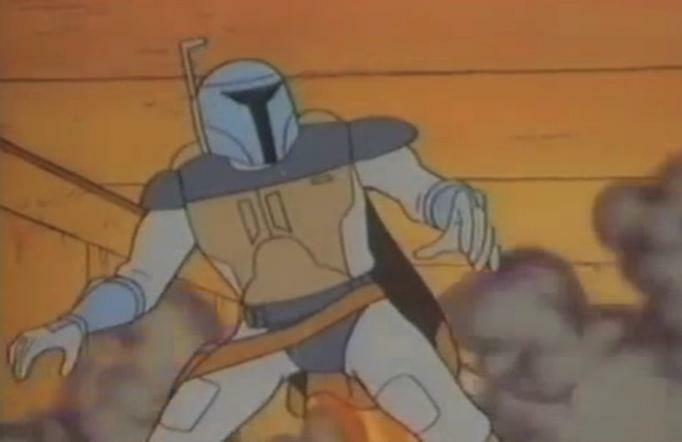 I then realized I might want to share my thoughts on each of these appearances, so here is my first post in this series, discussing Boba Fett’s introduction in the 1978 Star Wars Holiday Special (about which I wrote last week). 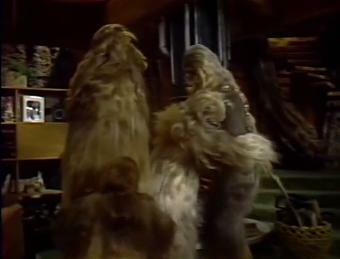 You can see this segment from the Star Wars Holiday Special here. We first see Boba Fett in a luckily opportune spot to welcome Luke Skywalker and his droids when they land in the watery-like surface of the planet on which they are looking for Han Solo and Chewbacca to help them out. It seems that Boba Fett just happens to be out in their area by entire happenstance, but is willing to help them out (“I am Boba Fett. The ship you are seeking is nearby.”) . He also freely uses the term “friend” to refer to Luke, which somehow works in convincing Luke that he is someone to be trusted: “It will be easy to find the ship you seek. 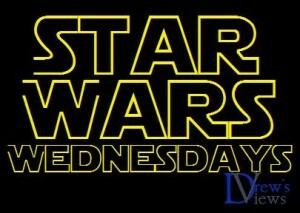 Follow me, friend” (although it arouses the suspicion of C-3PO). One thing that we instantly notice about him is that he is not particularly kind to the animal on which he is riding both by the comment he makes about their eating Luke’s food (“You are foolish to waste your kindness on this dumb creature. 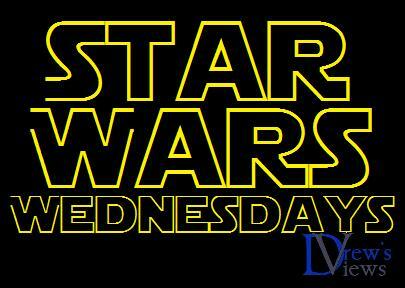 No lower life form is worth going hungry for.”) and by slapping it with his forked spear. After visiting the Millenium Falcon, Boba Fett says that the serum necessary for curing Han Solo’s condition can be found in the nearby city – impressive that Boba Fett knew that there was a serum for it – we then seem him leading Chewbacca into the city by a tough climb up, then into the city. 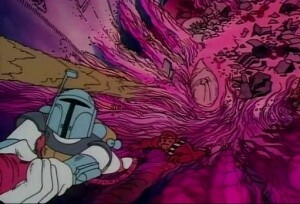 We then see Chewbacca and Boba Fett departing out of the city, with Storm Troopers hot on their tail. Boba Fett pulls out his gun and shoots, to make it seem that he is shooting to show that he has no love for the Empire and Storm Troopers, although it is clear from the errancy of his shot, that he is merely shooting as a ruse to make himself seem allied with Chewbacca (although it could be said that Boba Fett missed, since he was driving the animal and was not focused on shooting). 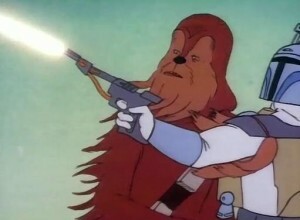 However, he shares his gun with Chewbacca, who then blows up their ship with a single shot (how weak is the ship that it gets blown up in a single shot or could it be that Boba Fett has a powerful pistol?). We then see Boba Fett return with Chewbacca to the ship and the droids show that Boba Fett is not their friend and he blasts off with his jetpack. Future Boba Fett posts to come….